It’s been a while but my Weber chimney has finally given up (after 4 years not too bad). I searched and searched but could not find any Australian retailer that stocked these chimneys. 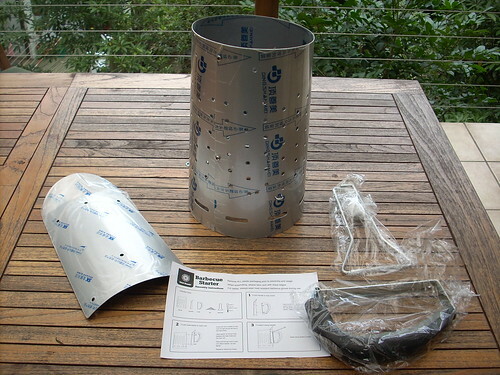 On the forum I found out that Heat Beads also has barbecue starter (as opposed to a chimney) so I decided to get me an Aussie one! I could have ordered one from Amazon as well but I like to change things up! 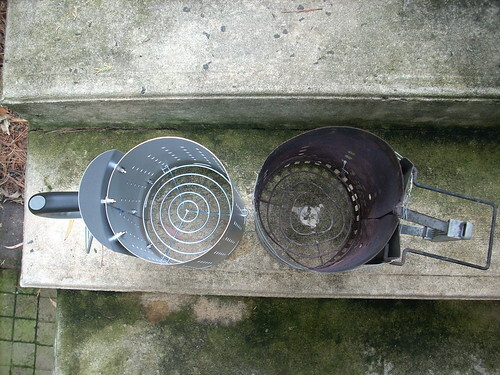 The starter vs the chimney look like this side to side; Yeah have a look at the great way I “fixed” my Weber chimney, very safe! 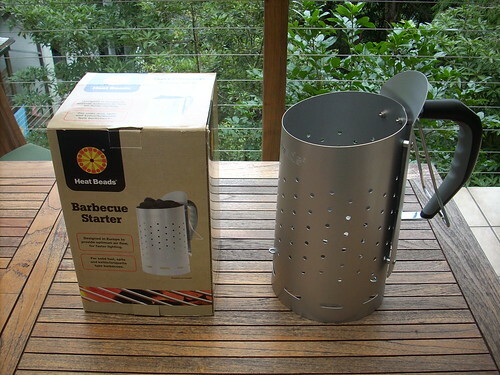 Even though it is a slightly smaller size I foresee no problems whatsoever with using the Heat Beads barbecue starter. I will post a separate blog about my complete starter sequence shortly! 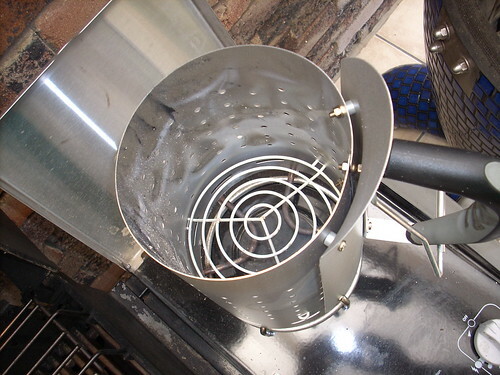 My Weber chimney lasted for over 3 years with very frequent use and stored outside constantly. I hope that my Heat Beads barbecue starter will last for at least that amount of time! This entry was posted in Blog, Recently Posted on March 15, 2010 by paulr. 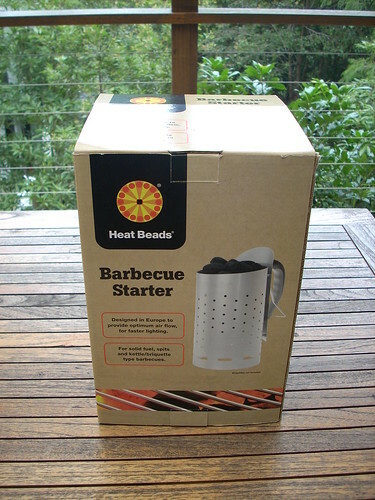 Australian Char Pty Ltd has identified a potential safety issue with the Heat Beads® Barbecue Starter. Customers are advised not to use the product if purchased after 1st September 2009. 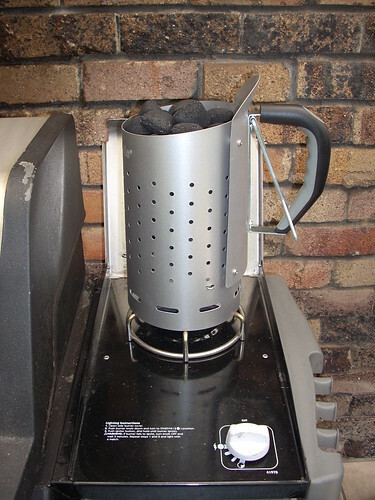 I you use charcoal ,as soon as its lit you can start cooking ! 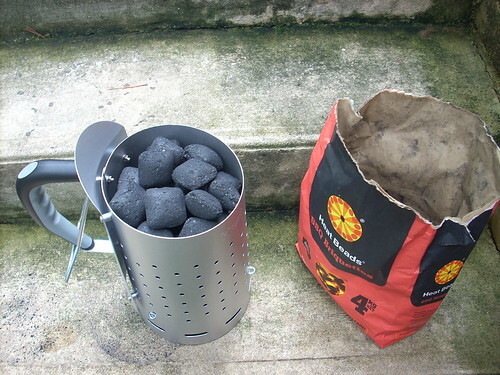 Hi Peter, appreciate the comments 99% of the time I cook with lump charcoal I had to finish this bag (and it looked better with the heatbeads starter). I’m glad I read the last comment. 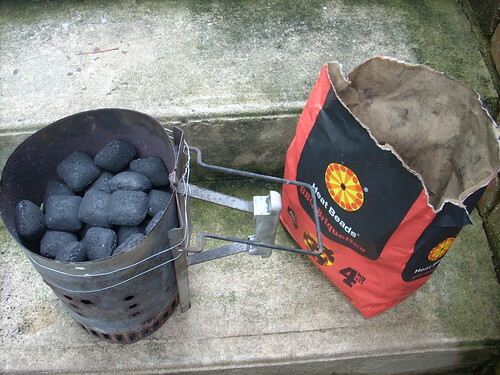 I’ve never used briquettes in that type of cooker, always lump. 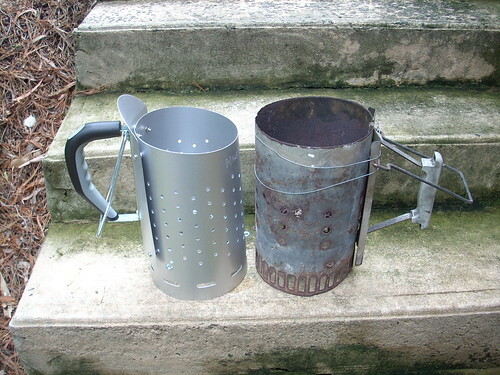 And I never need a chimney to start that, I just use simple starter sticks and it lights right up. I must say I’ve never used a grill like this either. Only ever worked with the gas products. Very interesting post though thanks. 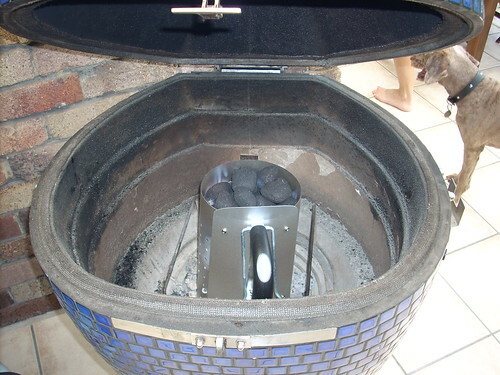 Weber grill accessories may add more enjoyment to cooking barbecue and hotdog outdoors.